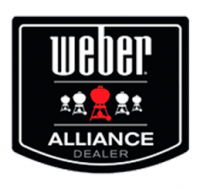 As your Weber Alliance Dealer, we stock a full line of Weber Gas, Charcoal, and Electric Grills and Smokers. Visit our showroom to see the grills in person and see all of the various accessories to accompany your Weber grill. Please visit our store at 4555 Bridgetown Rd., @ Glenway Ave., Cincinnati, OH 45211. Contact Us for a quote for any grill. Visit our showroom to see grills in person. We are located on Bridgetown Road @ Glenway Avenue in downtown Bridgetown. The lightweight and portable grill features a porcelain-coated, cast-iron cooking grate that can handle any hamburger or rib you throw on it. The grill can be started with the simple push of a button, and it has an adjustable burner-control valve that makes cooking easy. Total cooking area type: 280 sq.in. You'll love cooking up a storm on this glamorous grilling stunner. The Genesis® EP-310™ Gas Grill comes fully equipped with front-mounted control knobs, stainless steel cooking grates and stainless steel Flavorizer® bars to effectively hold and distribute heat as you grill. Primary cooking area: 507 sq.in. Warming rack area: 130 sq.in. Total cooking area type: 637 sq.in. The Genesis EP-330 gas grill takes all the existing features of our Genesis® line and turns up the heat with a flush-mounted side burner and 10,000 BTU-per-hour input Sear Station® burner. Now your skills can rival those of the worlds greatest restaurants and steak houses. From its generous 637 square inches of total cooking space to its 7mm diameter stainless steel rod cooking grates, the Genesis S-310 gas grill literally shines with quality and craftsmanship. What's more, its front-mounted control knobs free up both side tables to provide expansive prep space on this vision in stainless steel. This stainless steel rendition of our top-of-the-line Genesis® gas grill creates an atmosphere of pure grilling excellence. Its high-heat Sear Station® burner, three standard stainless steel burners, and electronic ignition system are just a few of the noteworthy features you won't be able to resist. 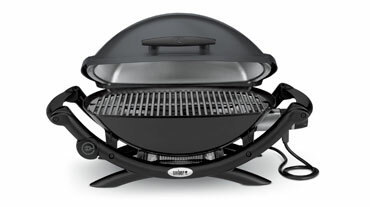 The Weber Spirit E-220 gas grill is a basic yet convenient user friendly grill that offers two burners, a total cooking area of 450 square inches, and porcelain-enameled grates and Flavorizer bars. You can also move the grill and lock it in place with the convenient, heavy-duty swivel casters. Primary cooking area: 360 sq.in. Warming rack area: 90 sq.in. Total cooking area type: 450 sq.in. Three stainless steel burners and an expansive cooking area give you the freedom to fire-up some serious food. Plus, the precisely engineered Flavorizer® Bars deliver even heat and smoke flavor. Primary cooking area: 424 sq.in. Warming rack area: 105 sq.in. Total cooking area type: 529 sq.in. The Summit S-670 gas grill is our top-of-the-line grilling masterpiece. There's a high-heat Sear Station®, enhanced lighted control knobs, LED tank scale, side burner, Tuck-Away™ rotisserie system with seperate fork and spit storage, smoker box and burner and so much more. Luxury has officially arrived. Primary cooking area: 624 sq.in. Warming rack area: 145 sq.in. Total cooking area type: 769 sq.in. Available in classic black or stainless steel, the Summit E-420 gas grill adds plenty more than just style to your backyard. Try the four stainless steel burners, LED tank scale, side burner, and Snap-Jet individual burner ignition system on for size. Primary cooking area: 538 sq.in. Warming rack area: 112 sq.in. Total cooking area type: 650 sq.in. 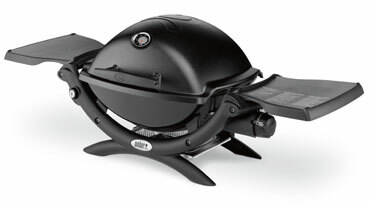 The grill that practically lights itself! The Weber Performer charcoal grill features a Touch-N-Go™ gas-ignition system which ignites charcoal briquettes with the push of a button. With four stainless steel burners, a flush-mounted side burner, and an LED tank scale, the Summit S-420 gas grill sizzles with distinction. Its 9.5mm diameter stainless steel rod cooking grates are made with thick, lasting materials so that you can grill and grill and grill. For the moistest, juiciest cuts of meat, sometimse low and slow is the way to go. The Weber Smokey Mountain Smoker helps you acheive an authentic smokehouse flavor at home. Total cooking area type: 726 sq.in.